If you are a regular reader, you know how much I like the world timer watches. 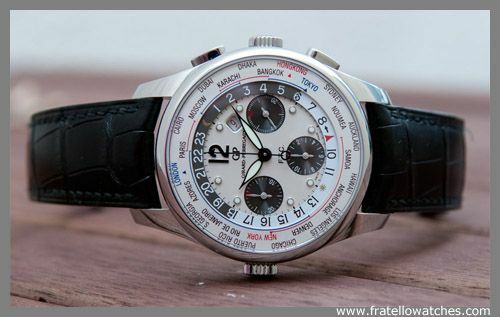 Some time ago, I wrote about my top 3 world timers and one of them was the Girard-Perregaux WW.TC. You can imagine how happy I was that GP was willing to send me one over for a review. 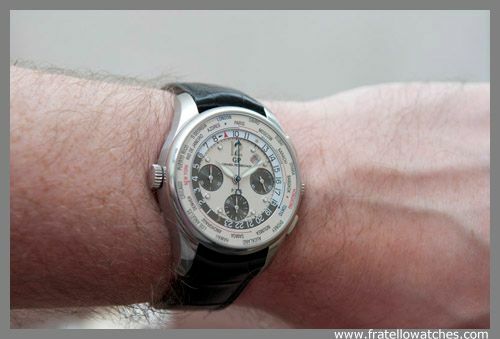 The GP WW.TC Financial, or FTC, is a timepiece that I was very eager to try-out and report about. Whether you are traveling for business or leisure, there is one thing both type of travelers share: they all want to know what time it is in their home time zone. When you are working in finance and travel a lot through different time zones, the Girard-Perregaux WW.TC ‘Financial’ might be something of your interest. If you want to learn more about this watch, follow this link to read my Girard-Perregaux review.